A stunning, playful exhibit you don't want to miss. 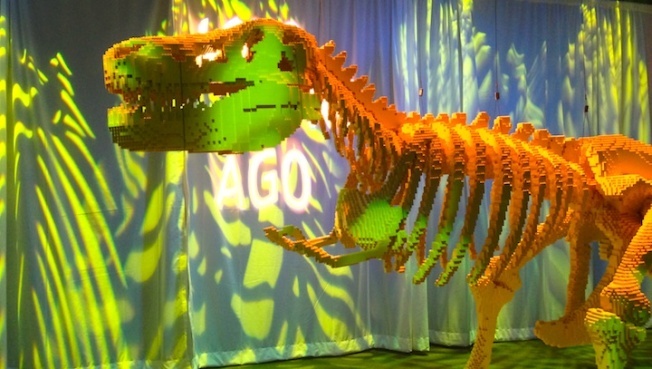 The Art of The Brick exhibit is open now at Discovery Times Square. 1st Look was able to get a preview of "The Art of The Brick" last week, an exhibition at Discovery Times Square, by critically acclaimed artist Nathan Sawaya. It was a stunning, playful exhibit full of intricately detailed originals and reinterpreted pieces that would be familiar to any art lover, like Starry Night (see below), The Scream (see below) and the Mona Lisa. The best part of all, Sawaya's works are built from one of the most recognizable toys in history, LEGO. From a T-Rex that took over an entire room to smaller whimsical pieces such as the peace sign and Buddha, it's a delightful experience that will put you in awe.